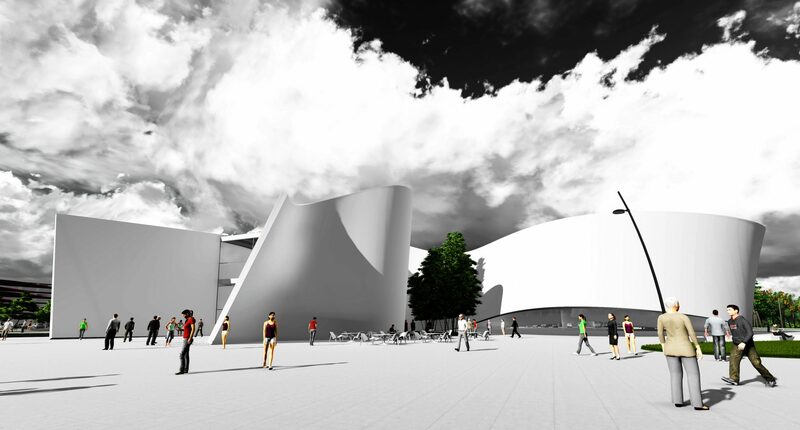 The project is for History Museum in Nanchang city. The building is a spiral white stripe that in the night will changes the color to a red and in the upper part with multimedia technology will projected the stars emblems from the Chinese national flag. In this way the building becomes like the flag of the People’s Republic of China. The roof of the building is landscaped garden, which is surrounded by Chinese flag. 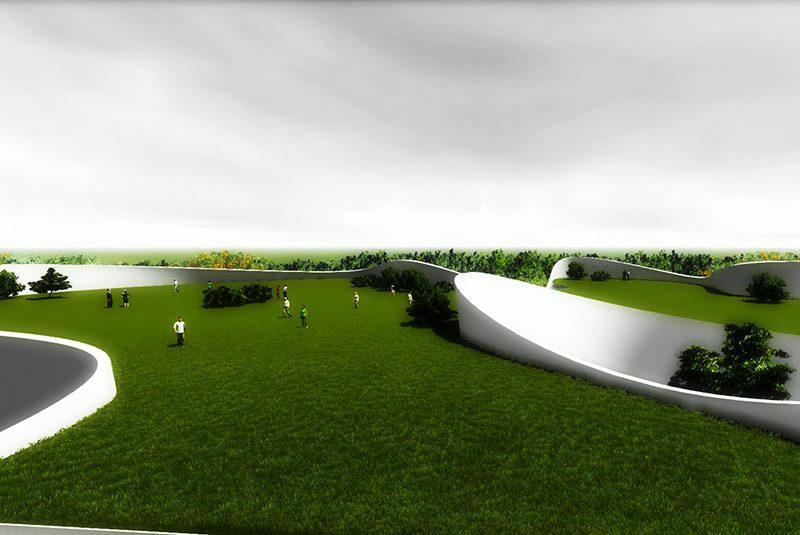 The roof garden will be used by people to relax after viewing the exhibitions. The museum provide various thematic exhibitions of the history of the city. There will be also conference rooms, multimedia presentations and more. 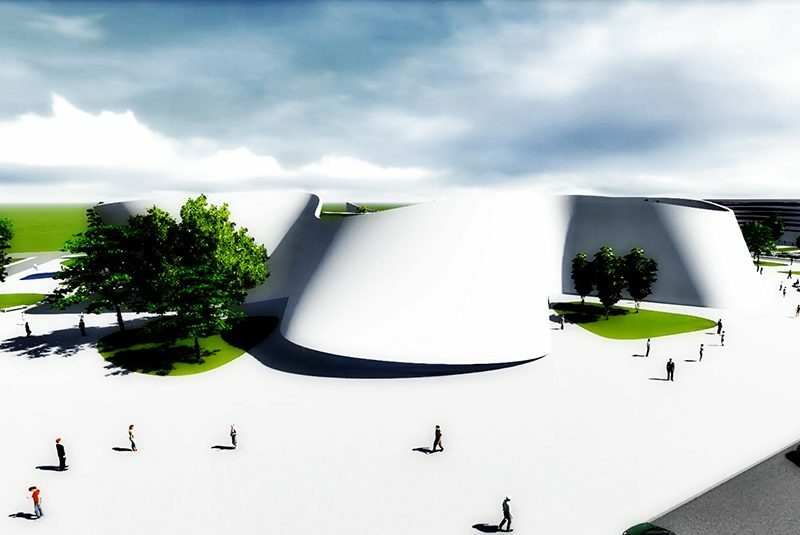 The park around the building is designed in a harmony with it, especially with the roof. The building is located in the center of this park and would a symbol of the city of Nanchang.